New study reveals what organisations must focus on first to meet customer expectations for digital service. What Does It Take to Deliver a Seamless Customer Experience Across All Channels? This year, digital channel interactions are expected to overtake voice interactions four the first time, leaving companies across all industries scrambling to offer new customer communication channel options. As organisations with the strongest omnichannel customer engagement strategies retain an average of 89% of their customers, compared to 33% of companies with weak omnichannel execution, getting digital service right is critical. 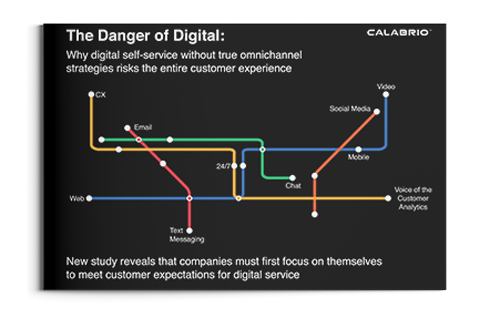 To find how organisations are navigating the transition to omnichannel customer service, Calabrio surveyed more than 1,000 marketing and customer experience leaders in the U.K. and U.S. about their digital customer communication strategies. You’ll also learn why many organisations struggle to succeed with omnichannel customer service, despite investing heavily in these new platforms.